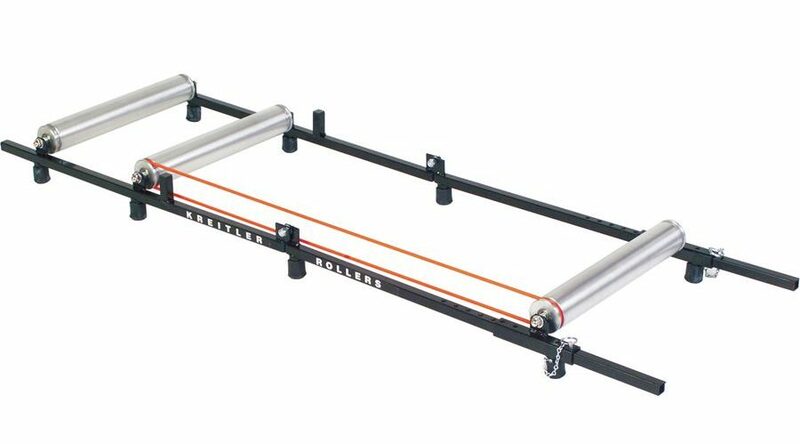 Are looking to buy a bike rollers for your indoor rides but unsure which one suits you? 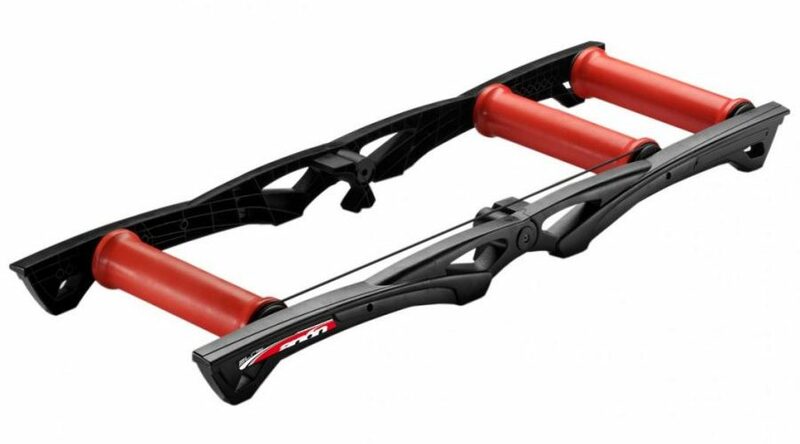 The first thing you’ll notice about bike rollers is that although they do look similar across all models, there are subtle differences between them and these will affect your riding experience and feel on it. Bike Rollers vs Trainers – Which is Better? Below you can find 7 of my top picks for bike rollers. 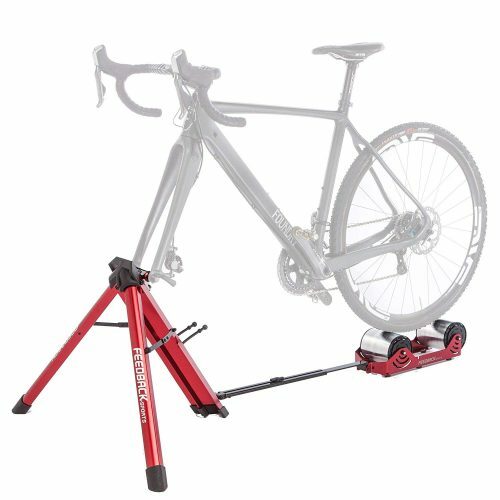 This hybrid bike trainer is highly packable and compact for on the go or small living spaces. Made with high quality machined aluminum rollers, they offer a completely smooth ride. The rollers incorporate a progressive resistance curve which simulates outdoor conditions such as rolling hills and wind resistance. Easily mount the front fork of your bike and start pedaling away. With the front fork mounted, you won’t have to worry about staying balanced and focused. That makes these rollers perfect for beginners who want to jump on and start a workout easily. Tacx makes some of the highest quality bike products on the market, and the Antares is no exception. These rollers use parabolic drums which will keep you stable in the center of the drums. These are perfect for refining your coordination and technique for when it’s time to get back outside. 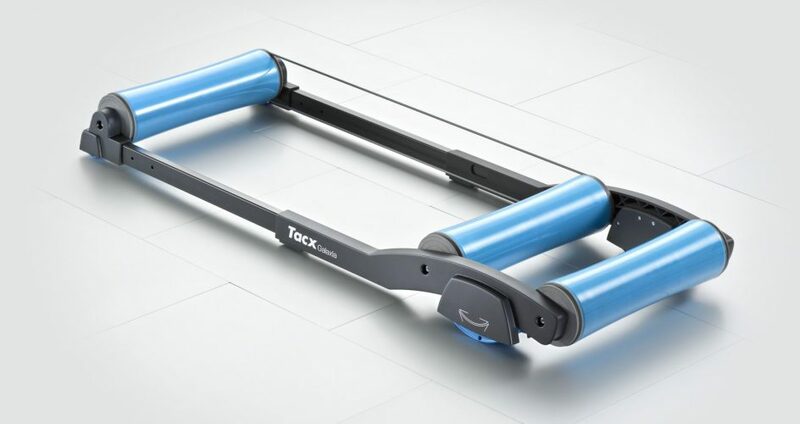 Incredibly, these Tacx rollers are retractable down to 80 cm (a little over 2.5 feet). If living in a small space or having packable rollers are considerations for you, then these stylish and minimalistic rollers are the perfect match. This modern and functional roller will optimize your training through selectable resistance levels. Neodymium magnets are incorporated to give you three different resistance settings. Start at zero for no resistance so you can warm up or cool down. Just crank up the resistance levels to get the well-rounded workout you want. On top of that, the drums are parabolic from 100 mm width outsides and 85 mm width centers to keep you guided to the middle. The cherry on top is that these rollers fold 180° for hassle-free storage. If it seems like these rollers have everything, it’s because they do. Those looking for rollers with resistance for strength building and a tough workout will get along well with the Elite Arion Rollers. 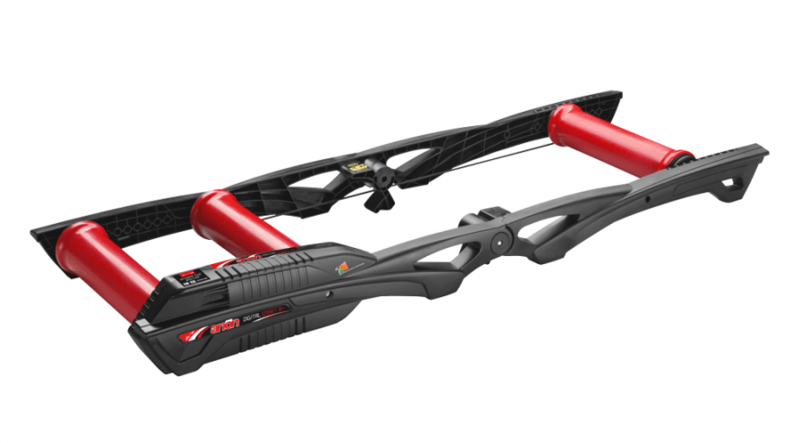 Another superb product coming from Tacx is the Galaxia, a super-powered version of the Antares. These rollers possess the same parabolic drums that keep you well centered and stable. They are also retractable down to 80 cm for easy storage or transport for race day. What sets this roller a cut above the Antares is its patented swing system. 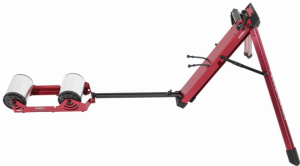 This innovative system allows the rollers to swing forward and backward through tough efforts. Many athletes upgrade to these rollers when they need to step up their sprints. They’re perfect for track riders who need the flexibility of being able to get up and out of the saddle for big sprints. Made in the USA with only the highest quality materials, Kreitler embodies superior quality. The drums are constructed using aircraft aluminum sitting in a steel frame. Due to alloy sealed cartridges, it’s one of the smoothest and quietest indoor trainers on the market. The ride quality of these rollers will make you feel like you’re spinning atop melted butter. This innovative roller introduces a fan that’s connected to the front drum. This fan is what sets the variable resistance. When it’s closed, it has no resistance. When it’s wide open, it gives even the strongest riders a challenge. These rollers are for those who value high-quality construction and want to simulate an outdoor ride quality without compromise. Trutrainer rollers are the invention of two aerospace engineers from Indiana. They set out to devise one of the highest quality and realistic indoor trainers. By using only high-quality, durable parts, they achieve their goal by a wide margin. They were also able to create rollers that simulate riding on a road outside. This is accomplished by adding a flywheel inside the drum which adds a resistive during acceleration and propulsion during deceleration. It takes a little bit to get up to speed and takes a little while to stop just like on the road outside. This roller is perfect for those who want true to road feel and don’t want to compromise on quality. The Digital Smart B+ Trainer from Elite takes indoor training to a whole new level. Those looking for an advanced and virtual experience will need to look no further. The Elite Arion Digital Smart B+ uses magnetic resistance which is controlled electronically by a device (laptop or smartphone) depending on the training program you choose. All of your training data and control of these rollers is through ANT+ FE-C or Bluetooth. With a connection to many different training programs, your favorite is sure to be supported. You’ll be training up mountain passes and hills or coasting through plains on these interactive rollers. They’re unique, interactive, and make for a great training experience. 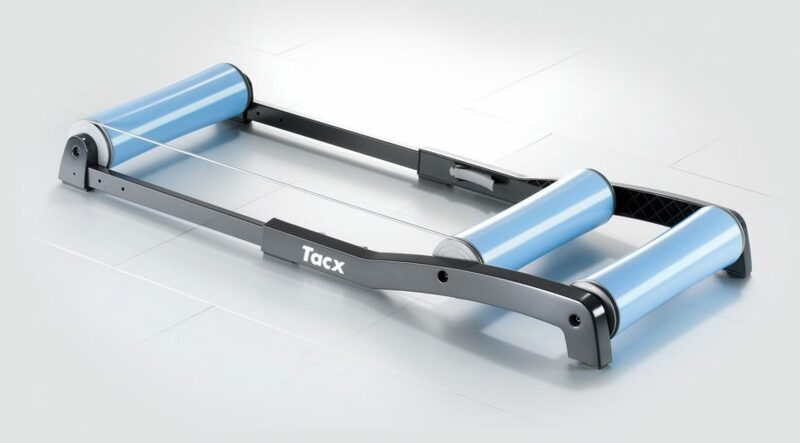 The simplest and most basic rollers are the conventional type such as the ones from Nashbar and Tacx. Conventional rollers consist of two round drums at the back and one at the front. They require you to balance yourself while you ride, benefitting your balance and pedaling form. You’ll need to manually adjust the resistance by changing to a harder or easier gear, depending on the effort you’re doing. Depending on the size of the drums some resistance is offered for strength building, but mostly its smooth operation allows you to go all out regardless of gearing. Due to their simplicity, most conventional rollers come pre-assembled. Just set the correct length for your bike and start riding, easy as that. If you’re looking to optimize your indoor training a little further, then resistance rollers are for you. These rollers are nearly identical to conventional rollers, with two round drums at the back and one at the front but with one major difference: variable resistance. A good example of a resistance rollers is the one from Kreitler. For some riders, the base resistance of conventional rollers isn’t enough. Being able to select a higher resistance offers a more robust indoor workout. Additionally, these rollers maintain the same ease of use as conventional rollers. Many are already pre-assembled and foldable for easy storage. They only need to be adjusted to your bike’s length and set for resistance. 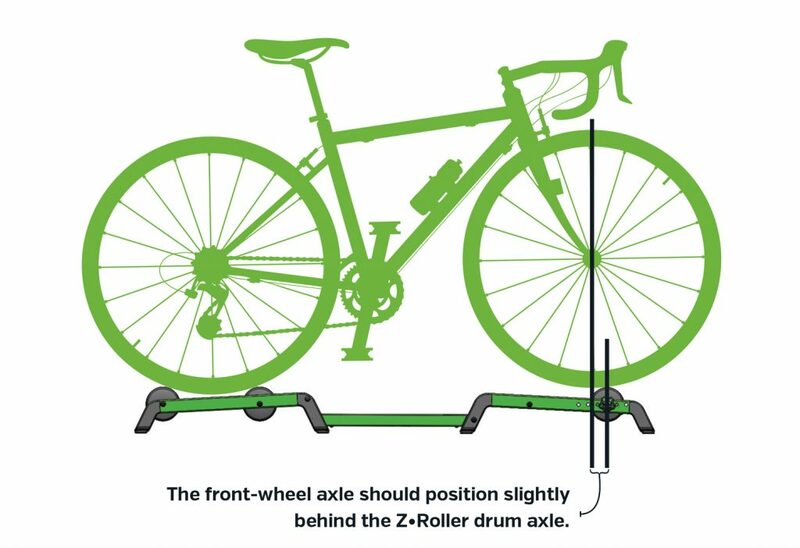 PRO TIP : Resistance rollers provide another method for you to adjust the resistance besides changing the gears while riding. These types of rollers are a hybrid between rollers and trainers such as the Feedback Sports Omnium..There are still two round drums at the back, but the front is immobile. To use hybrid rollers, your front wheel must be taken off, and the front fork fixed to the machine. This immobilization is great for those who aren’t comfortable with balancing on conventional rollers or need a more intense workout. Due to the absence of a front drum, hybrid rollers are typically lightweight, foldable, and portable for easy storage or race day use. PRO TIP : Hybrid rollers are ideal if you’re just starting out, as the balancing part is taken care of by the fixed front fork. Smart rollers are for those that desire a unique way to experience indoor riding. These rollers connect to your laptop or smartphone via ANT+ or Bluetooth to give you power readings and complete control of your resistance settings. More excitingly, you can have an immersive virtual riding experience by pairing with an app like Zwift. You’ll feel like you’re smoothly riding down a hill or chugging through a strong draft as the rollers change their resistance on the fly. You’ll get the same immersive experience that you do on a trainer but with the freedom of using rollers. After using smart style rollers, you’ll begin to forget the difference between indoor and outdoor training. The Elite Arion Smart Rollers is one of the best rollers with resistance, and best of all, it’s smart with power measurement and connectivity to apps such as Zwift. PRO TIP : Smart rollers are the best option if you want to do your workout in apps such as Zwift and Trainerroad. As with anything that you might potentially purchase, construction quality is an important consideration. That’s especially true for a piece of equipment you’ll be using for your intense training sessions. Rollers must be able to hold the weight of you and your bike for an extended period, all while moving. The main components of rollers are the rollers themselves, the frame, and the belt (if using one). The rollers themselves are the most important parts to consider, and most high-quality rollers are made from aluminum. High-density polyethylene rollers can work just as well and can reduce noise even if they add a bit of vibration. For conventional rollers, having a durable belt will keep your rollers functioning for years. The most sturdy frames are made of aluminum or steel, but high-density polyethylene works even if it is a bit unnerving to balance on plastic. Rollers only need to be adjusted once, unlike wheels on trainers, which need to be adjusted every time you ride. Most rollers are simple to set up and can be adjusted to your wheelbase in no time. A well-constructed roller will be able to accommodate nearly any type of bicycle. For conventional trainers, all you need is a wrench and a few minutes worth of time. Simply put your bicycle on the rollers and adjust the front drum so that it’s just slightly forward of the front hub. This is to avoid you from riding off in front of the rollers! Even if using hybrid rollers, setup is a breeze. First, the roller needs to be adjusted to the size of your frame like conventional rollers. Then the front wheel needs to be removed and connected via the fork to the built-in dropouts. These rollers can accommodate most bikes and include adapters for different types of forks. Packability is a welcome feature on any roller. Being compact and easy to carry eases transport for warm up on race days. If space is an issue and storage is necessary then getting compact rollers is the right choice for you. Since this is an additional feature for many rollers, expect a slightly higher price tag. Packable rollers typically fold in half at the center between the front and rear drums. Others, such as the Tacx Antares, retract down to an even more compact size. Some conventional rollers, especially if built of a more solid construction, have nearly zero packability. Rollers made out of hard plastic usually offer a more packable and compact form for storage and easy transport due to their lightweight construction. Hybrid rollers typically come in the most compact form due to a lack of a drum at the front. Different rollers have different drum designs and materials. Drum shape is either parabolic or completely uniform. Drum size also plays a role in the amount of resistance created. Drums are made out of alloys such as aluminum or a hard plastic such as polyethylene. The type of training you’re doing and how you ride are what make these important factors to consider. Parabolic rollers are rollers such as the Tacx Antares and Tacx Galaxia are larger on the outside near the frame and smaller in the middle. This shape helps keep your bike towards the center so that you don’t come off the rollers. The size of the rollers is what determines the resistance. The larger the drum, the lower the resistance. Less resistance means you can easily keep the wheel speed high without too much effort. Having smaller drums creates more resistance (and bike tire wear). Small drums are for those who want to be able to do intervals or sprint warm-ups such as the ones from Kreitler.